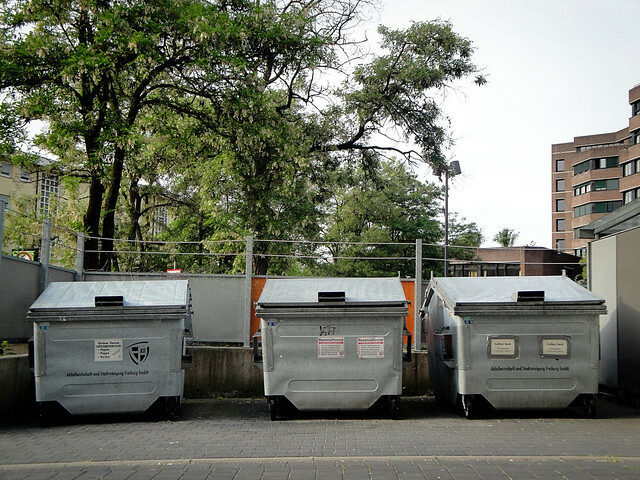 Recycling in Germany can be precise. 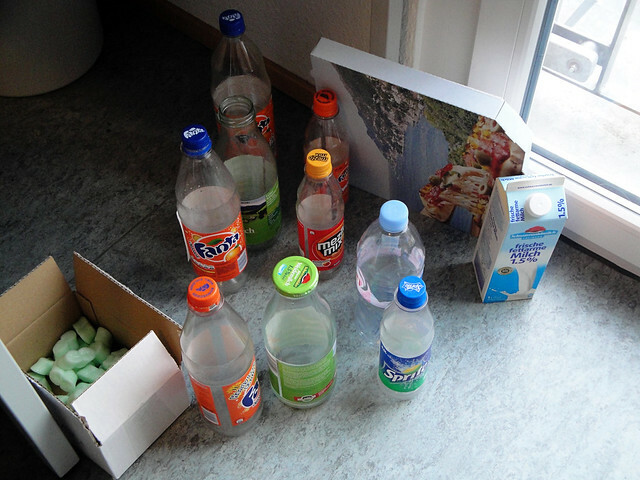 It took a while for me to get the hang of it, during which time I started collecting recyclables in my room…. The situation soon got desperate, and it was time to figure out German recycling. It’s especially important here in Freiburg, known for being one of the prominent ‘green’ European cities. There’s lots of recycling bins outside the dorm. You’ve got your white glass, your brown glass, your green glass, and on the left is the bin for clothes/shoes/fabrics…. 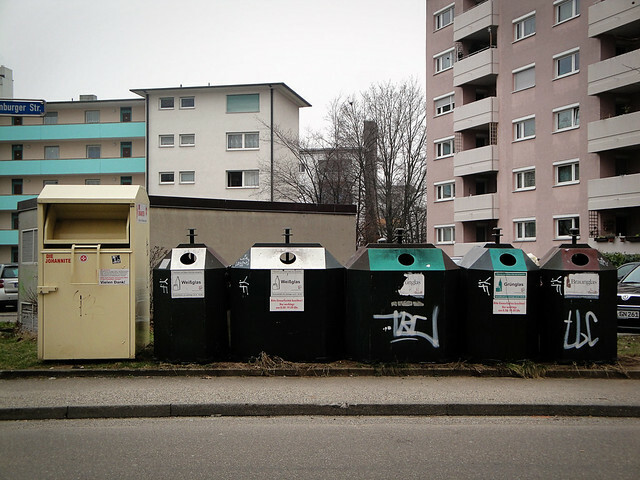 Then there’s another set of bins for your paper (Grüne Tonne, or “green bin”), plastics/metals (Gelber Sack, or “yellow bag”), and a catch-all for organic wastes and things that don’t fit in the other bins (Restmülltonne, or “waste bin”). 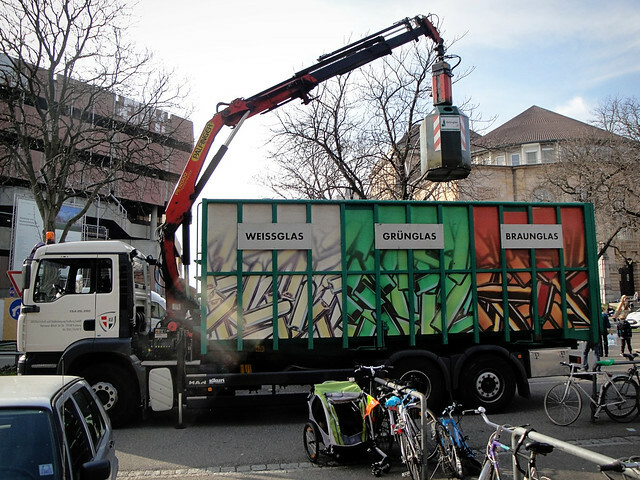 But the coolest thing about recycling in Germany: returning your bottles where you buy them. Turn your empty bottles back in to the cafes/markets/cafeteria where you bought them, and you’ll get your deposit back! (It’s been around .15-.25 euro cents everywhere I’ve gone). 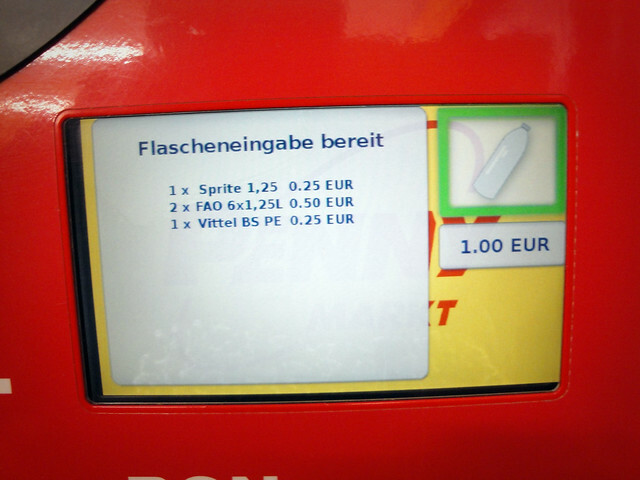 I get a lot of bottles from the Penny-Markt near my dorm, and they have return machines to scan them…. …and you get a receipt in return to pay towards your next purchase! 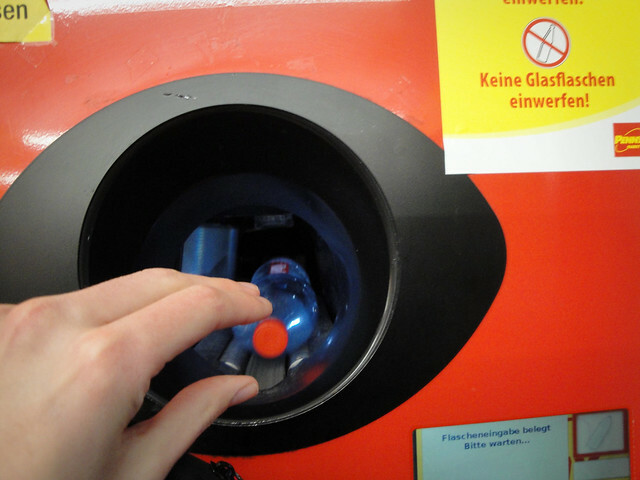 The German recycling system is pretty complicated, but all the sorting and the deposit method for bottles really encourages the green initiative – Germany has one of the highest recycling rates in Europe and the world (Eurostat). You know, the Soviet Union has been clearly established system of collecting scrap metal, paper, people passed the empty bottles at special collection points. This is all very well, people do not carry a lot of stsnyalis bottles and get paid for it. In stores, milk is often sold in glass bottles and that would buy it, you had to take an empty bottle of the milk. Simply, they have old technology, have made them a little presentable, and all advertised. 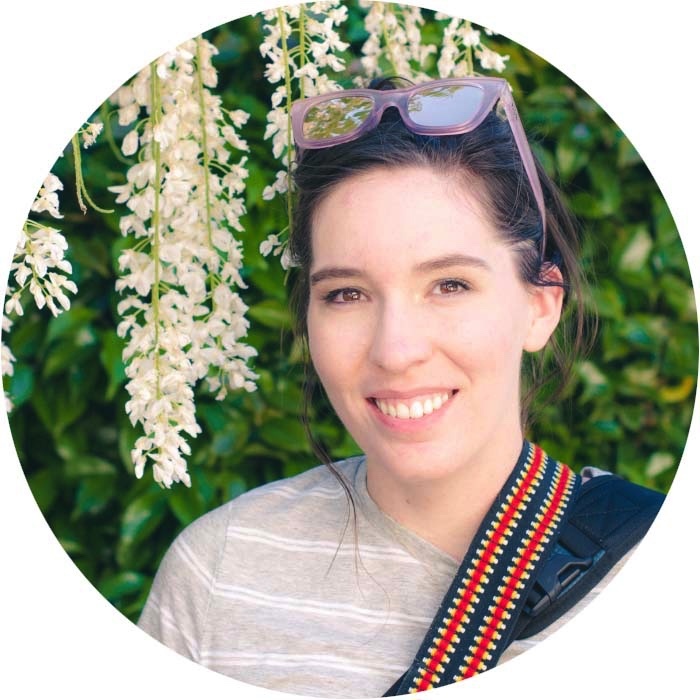 Marketing – is a terrible thing. Now in Russia and in Ukriane is considered shameful to take bottles, waste paper. This deal only with the homeless. I would like to propel this kind iniciative in Spain, because i thinck it would be good for environment and for homeless who could get some money picking the bottles which people leave on the street. Someone has further information about this amchines?